During June we were finalizing mixes of songs for the next album, planning the next single release which is set for July 19th, and devising a few new merch items based on people's suggestions. The next single is going to be out on 19.07.2015. The A-side is gonna be "Love Leave Your Mark on Me", which along with the B-side was something we did during the last session at Manor Park back in April. 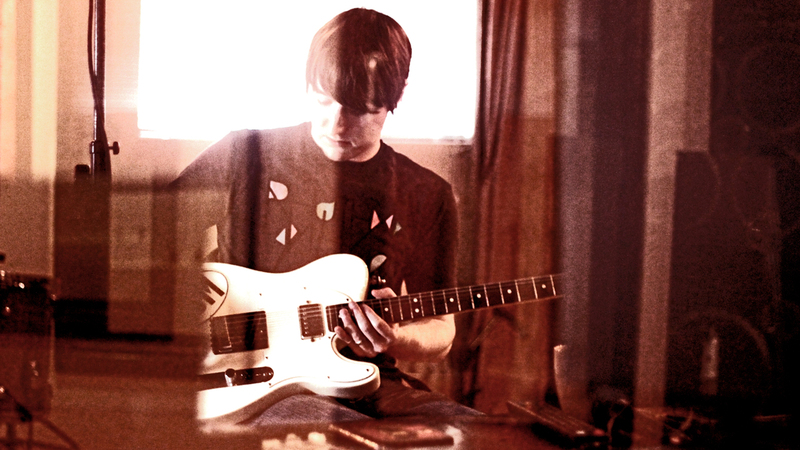 Here's a photo from that day - must've been recording some tracks with my Telecaster. People were asking a lot over the last few months where to buy the singles that have been released since the first album. So we came up with the Flashdrive Discography, where you can get everything we've released so far including the last single "George Best City" & "Constellations of She". It's the perfect solution for independent bands like us, for who it doesn't make financial sense to duplicate large runs of physical CDs for every single. This way we can keep updating the Flashdrive to include any new music, for example anyone who gets one now will receive the next single early before it appears on places like iTunes & Spotify, with the upside of getting Lossless FLAC as well as the normal MP3 320k. Thanks to everyone who has bought one since we put them online last week, it's a great way to support us, but also the cheapest way to physically get all our music. Great to see we were included in Happy Indie Hour Playlist on Spotify, curated by tastemaker SD Hox. SD Hox is a frequently featured top contributor on Warner Music’s newly acquired website Playlists.net. His Spotify playlists have generated millions of plays by hundreds of thousands of unique users. His curated playlists are presented on this blog TheTastyTurntable.com and he is a contributor to the European music blog ModernMusicMisfits. The song was "Constellations of She", thanks to SD Hox. So, until the next blog.... all the best.